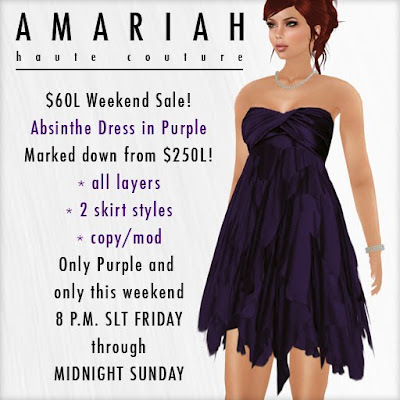 My Second Life as Amariah Francis: 60L Weekends Sale! AMARIAH Haute Couture is participating in 60L Weekends this weekend. Sale starts Friday night! Don't forget to stop by and pick up this beautiful dress marked down to 60L from 250L.